Noelle Joy struggled for breath that seemed inadequate. She gripped the wheel with white-knuckled fingers as her vehicle sped relentlessly toward the small, California mountain town that had been her home until a decade ago. What are you thinking? Why would you ever return to the place where you suffered the worst indignity of your life? Even as the desperate questions spun through her mind on an out-of-control turntable, she launched into long-rehearsed relaxation techniques. One…two… three… Breathe in. Four…five…six… Breathe out. Breathe. Just. Breathe. By the time the weathered “Welcome to Hope Springs” sign came into view, her emotions were well in hand. She was here to do a job—one that would look good in her bank account and on her résumé. And—since she insisted on honesty at all times, especially with herself—she had to admit the person at the other end of the contract added a certain appeal to this gig. Noelle had dutifully researched the man after he’d contacted her, but there’d been no real need. Michael Holliday was becoming a household name. The talented architect had burst onto the scene seemingly out of nowhere and had won award after award in the years since his first design created an uproar in the industry. He somehow managed to steer clear of the ever-reaching tentacles of the press, but that phantom-like ability to avoid the spotlight only whetted the media’s collective appetite. Holliday also drew notice by often, and generously, sharing the rewards of his labor. Charity organizations, large and small, benefitted from his wealth. Individuals and families in dire need had been blessed by generous checks delivered to their doors—all signed by Michael Holliday, all accompanied by simple notes that included well wishes, promised prayers, and requests to keep his donation downwind of the press. But happy, relieved people rarely kept that kind of blessing under wraps. Aware of, but not able to track down the source of the mysterious gifts, the media had dubbed Holliday the Phantom Philanthropist. Along with a stringent confidentiality agreement, Noelle had signed a contract that offered an incredible amount of money to create a decorating miracle in Holliday’s home. Having scribbled her moniker on “the dotted line,” she became one of the few people who possessed a physical address for Michael Holliday, Phantom Philanthropist and Architect Extraordinaire. He did indeed live in Northern California—somewhere near Hope Springs, where Noelle had enjoyed a happy childhood, lived out teen years filled with love and romance…and suffered the most painful and degrading rejection any woman could endure. 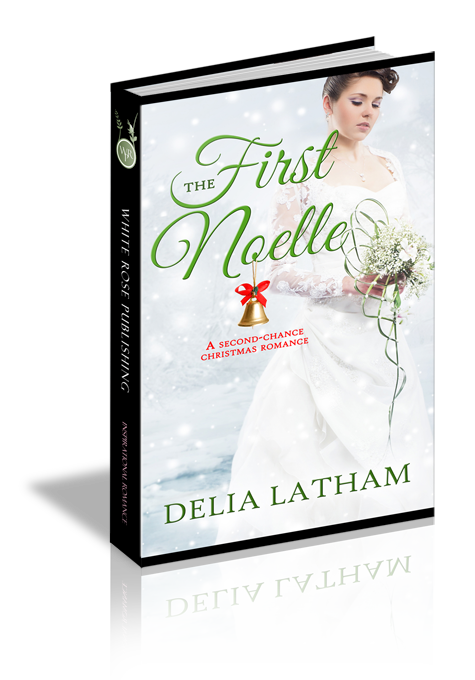 A good portion of the total population had witnessed her public rebuff—a bride in a church bedecked with Christmas finery, awaiting a groom who never showed. She groaned as she pulled into her parents’ driveway for the first time in a decade. As much as she loved Mom and Dad, the prodigal’s return promised to be anything but joyful.